The members of the Superdraft team are all familiar with different types of cladding and a wide variety of finishes. Copper is a great material for a number of architectural elements. A unique material with cost-effective long-term benefits, we see copper maintaining its popularity in contemporary architectural design. Here are some copper architecture examples that we think are great sources of inspiration. This museum in Poland captures the attention with its flame-like façade with copper cladding. Covering a reinforced concrete structure, the copper cladding shines in the sunlight, and with well-placed up-lights, the building glows at night. The museum continues to impress with copper finishes across its interiors. Copper lines the stairwell, marking the path from the lobby to the exhibition hall. 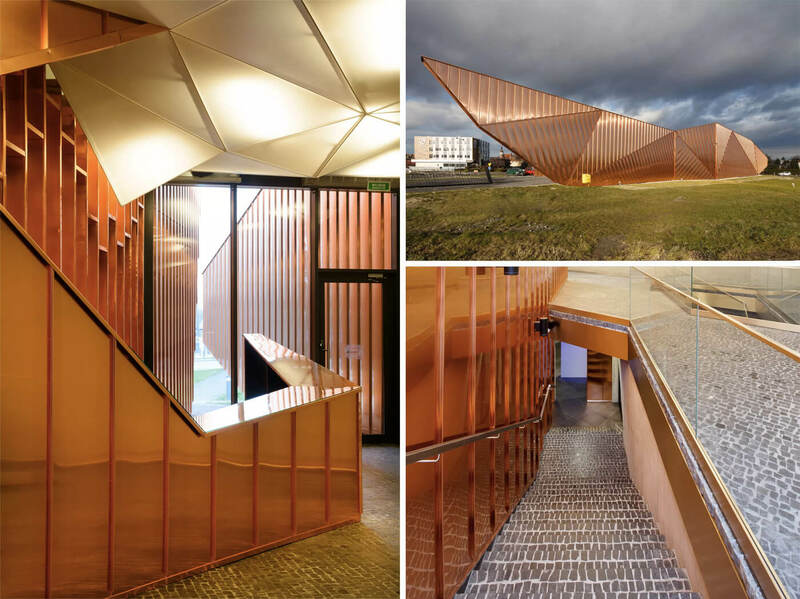 This example of copper architecture shows how a seemingly unusable space can add visual impact to a structure. The roof of this office building draws attention with its unusual shape and finish. Adding flair to the folded roof is a copper-bronze alloy finish arranged in a rain screen-like pattern. 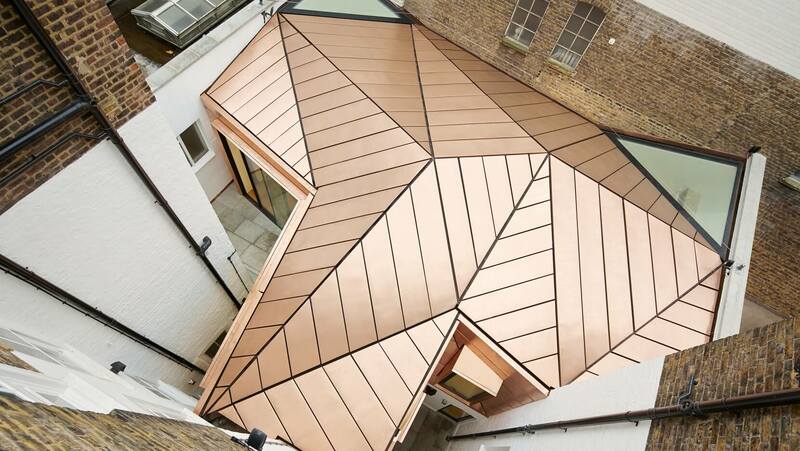 The copper detail complements the building’s existing façade and provides a stunning backdrop to the windows and roof lights that maximise light penetration. 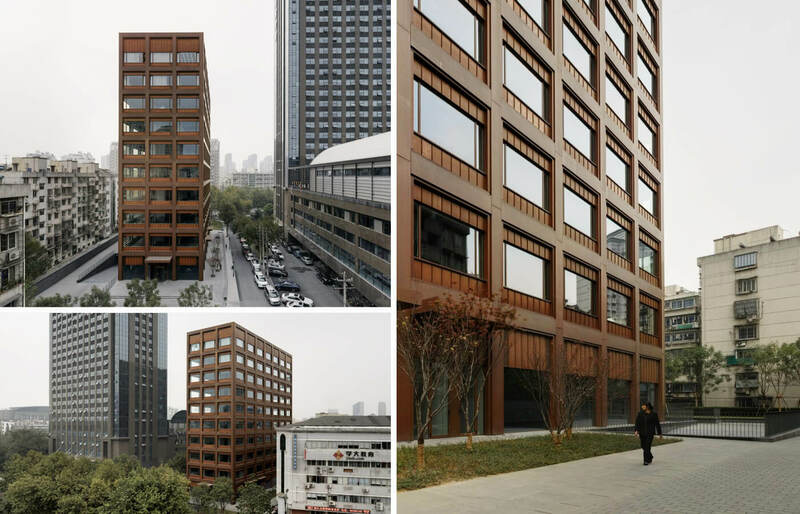 Copper panels forming a grid frame the large windows of this ten-storey office building in China. The copper surface gives this reinforced concrete building a vibrant yet elegant look, and with the building set above street level, this piece of copper architecture stands out among the cluster of high-rises in the area. 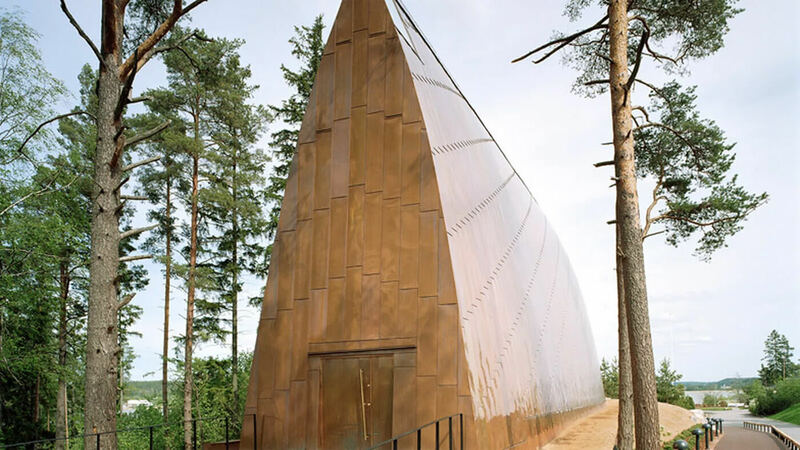 Designed in a shape inspired by the ichthys symbol, this chapel has a vivid copper exterior and a warm wooden interior. The chapel continuously changes colour as it ages, with its timber-lined interiors slowly reddening and its copper cladding weathering into a turquoise hue that allows it to blend with its lush green surroundings. For more inspiration on materials, see our portfolio. Get in touch with us to find out more about our architecture and drafting services. Work with Melbourne Home designers.